Old, but still cool. Hey, we get news a little slower downunder. For the 30th anniversary of Star Wars, the US Postal Service enlisted a special little fellow to collect mail. 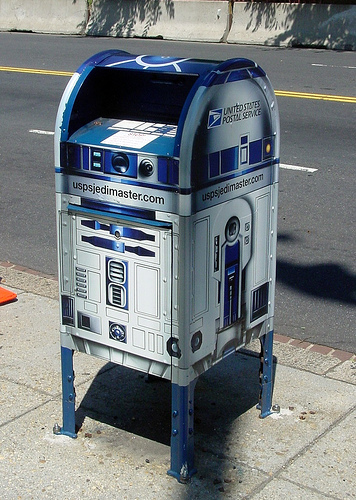 R2-D2 mailboxes were deployed to cities all over the US to the delight of fans.